The ServNet Auction group is the nation's premier network of independent auto auctions. These auctions are strategically located across the United States. Cooperating to build business relationships, ServNet Auctions work together to provide the latest in services and technologies to its customers. Click an auction name to learn more. 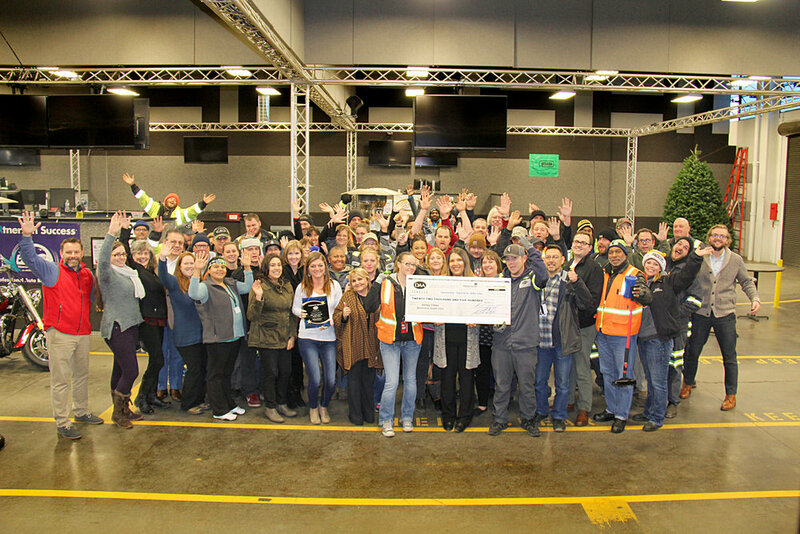 As one of the auction industry's pioneer facilities, Akron Auto Auction has played an important role in the market for seventy years, incorporating service, commitment and innovation to produce superior results for its customers. Akron Auto Auction was founded at the close of World War II, in 1945, opening as an expanded gas station on East Avenue in Akron. Today, Akron Auto Auction runs six lanes with four separate buildings on 30 acres. The facility includes a full transportation department, reconditioning department, inspection department, and floor planning services. Each Tuesday, an average of 1,200 vehicles cross the block, including consignments from banks, fleet/lease companies and GSA, as well as vehicles from new and used car dealers from all over the Midwest. The auction also leads the industry in remarketing vehicles online, having been named the top seller for OVE.com for two years running. Fifty years after its founding, Akron Auto Auction continues to command its market, led by third generation family ownership. The ownership, management and staff at the Auto Auction of New England have maintained our single-minded focus on Customer Service since the day we opened in January 1995. This Commitment is demonstrated in the ongoing efforts to expand and improve the facility; the unparalleled transaction process of floorplan, checks and titles; the professionalism of the area’s finest auctioneers; and the enthusiasm and dedication of management and staff that always puts the customer first – Every Customer! The Auto Auction of New England offers transportation, full reconditioning, mechanical and marketing services and an online platform using Auction Pipeline. We are located just 10 minutes from the Manchester airport and 40 minutes from Boston-Logan international. Today, thousands of vehicles and recreational vehicles are offered through six lanes every Thursday starting at 9:15am. We welcome you to come and experience a New Standard in Auction Excellence! Bel Air Auto Auction has been established for more than seventy years and is the flagship auction of the BSCAmerica Auction Group. During that time, it has grown to become the largest independent dealer auto auction in the State of Maryland selling more than 100,000 vehicles annually. Bel Air Auto Auction has a long-standing background in providing the fleet and financial institutional related services that are necessary to support the selling requirements for clients that include leasing companies, banks, daily rental firms and government agencies. Bel Air Auto Auction is a member in good standing of the National Auto Auction Association, and as such it complies with that organization’s Code of Ethics and strict financial requirements. Location/Facility/Operations: The auction is located in Belcamp, MD, just 28 miles from Baltimore and 80 miles from Philadelphia and provides a wide range of auto-related services, including floor planning, storage, transportation, Internet sales, full vehicle reconditioning, and certification. Its geographic position has it ideally situated to pickup vehicles and serve buyers and sellers throughout Maryland, Delaware, New Jersey, Washington, DC, Southeastern Pennsylvania and Northern Virginia All inventory and transactions are supported through a state of the art computer system that has more than twenty years of research and development behind it. Although we are not a Manheim auction, the system we use is the same system that is used by Manheim Auto Auctions across the country. Auction operations are further supported with electronic condition report capabilities and digital imaging. The auctions are also active users of the AutoIMS system. Transportation: Because the auctions operate with their own fleet of carrier trucks, Bel Air Auto Auction and Car and Truck Auction of Maryland have the capability to quickly transport vehicles to the auction. Since time is of the essence, at the time of pickup notification, our dispatcher will assign the pickup orders directly to our truck drivers and all pick up orders are in the computer system for electronic tracking. Most vehicles can be picked up within two business days from the date of notification..
Carolina Auto Auction is situated in Anderson, South Carolina, midway between Atlanta and Charlotte via Interstate 85, and Asheville and Columbia via Interstate 26. We are conveniently located just thirty miles from Greenville-Spartanburg International Airport (GSP). Carolina Auto Auction serves customers throughout the United States with a full offering of Dealer Consignment, Fleet, Lease, Daily Rental, Insurance, and Financial Institution vehicles. Carolina's founders, Henry and Patty Stanley, were quick to recognize that all we have to offer is service, thus Carolina Auto Auction's motto is "All Auctions Are Similar... It's the Employees of Carolina Auto Auction that Make the Difference!" That motto is instilled in every associate who works at Carolina Auto Auction. It's not just a slogan. It's a way of life. Carolina Auto Auction was started in 1990 after Henry and Patty, former owners of Ohio Auto Auction, purchased the three-lane facility from bankruptcy court. With no existing dealer base, they carefully and methodically grew the auction into what is now an eight-lane facility with consignments totaling more than 1,400 vehicles a week and a dealer base of more than 6,000 dealers. Carolina Auto Auction was recently ranked among the Top 15 Independent Auto Auctions in the Nation by "Used Car News" magazine. We offer the largest dealer consignment in South Carolina and one of the largest in the Southeast. Come and experience what it means to make "The Right Choice" at Carolina Auto Auction. Clark County Auto Auction (CCAA) serves the Southern Indiana, Southern Ohio, and Kentucky markets. It was founded in 1982 by father and son, Charles and Mark Fetter, and is operated today by third generation co-owner Matt Fetter. CCAA recently completed a brand-new world class 44-acre facility which includes a five-lane service building and reconditioning center. The 40,000 sq. ft. main building includes a seven-lane sale arena, administrative offices, 100 seat restaurant called Urban Bread Company, Digital Sales Network, and AFC – Automotive Finance Corporation. CCAA donated their existing 5-acre facility to the Greater Clark County School Corporation creating the Mark Fetter Center for Professional Learning. CCAA specializes in the sale of bank and finance company repossessions, lease remarketing, rental car fleets, new car dealership trades, used car dealership trades, donated vehicles, government vehicles and corporate fleets. CCAA is principally a dealer only auction hosting live consignment sales at the auction facility and online every Wednesday. CCAA is member of NAAA and an industry leader in online sales utilizing its various online marketplace platforms; and consistently ranks in the top 10 nationally on OVE for dealer cars sold. Sale Day is Friday at 10! We are a full service auction offering mechanical and body repair, transportation services and more. The latest technologies are utilized including inventory control and sale operation systems. Come discover the dealer-friendly auction deep in the heart of Texas -- Corpus Christi Auto Auction! Proud to be a member of the ServNet Auction Group and the National Auto Auction Association. 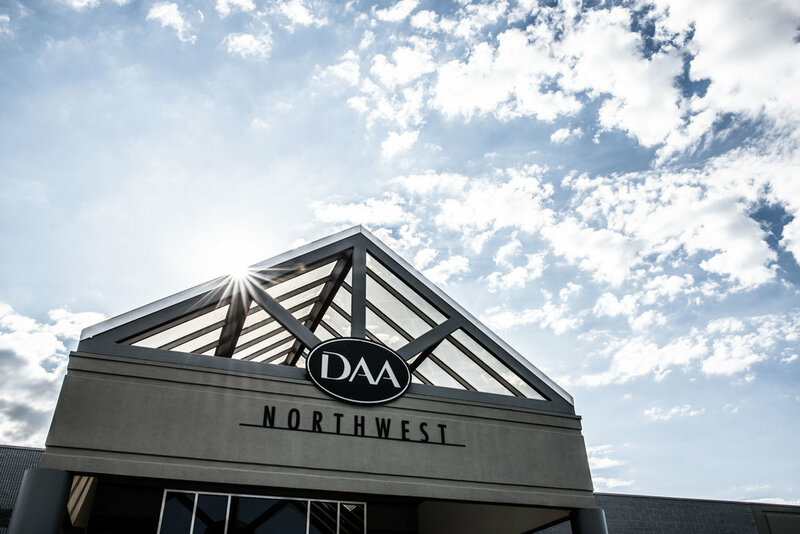 DAA Northwest has its roots in the best traditions of the independent auction house. Auction president Bob McConkey has more than 30 years of auto auction experience. He came through the ranks in the industry, working in various auctions as a fleet/lease manager, reconditioning manager, sales manager, and general manager. Under Bob's direction, Southern California Auto Auction doubled in size in three years and in 1988 became the world's largest volume auto auction. In 1992, Bob founded DAA Northwest with Greg Mahugh. The two industry veterans have worked together for over three decades. Greg now serves as DAA Northwest's senior vice president and general manager. Both Bob and Greg are auctioneers. DAA's facility was constructed in 1996 and continues to expand to serve growing sales and services. In 2005, body shop and detail services were opened to the general public as well as the wholesale auction trade. The auction now encompasses 45 paved and secured acres and has 8 auction lanes and a designated motorsports pavilion. DAA Northwest continues to improve facilities and increase services, including online Simulcast and Event Sales via PipelineSimulcast. number of local non-profit organizations, with our largest annual contributions stemming from November's Anniversary Sale fundraiser. Together with DAA Seattle and KCI Kansas City, DAA Northwest is part of the McConkey Auction Group. Together with sister auctions DAA Northwest and KCI Kansas City, DAA Seattle is a member of the McConkey Auction Group. Founded in 2013 by Bob McConkey and Greg Mahugh, it offers 800-1,000 vehicles to licensed, registered, wholesale auto dealers every Friday at 9:00AM. The auction's primary geographic market includes the western regions of Washington, Oregon and Canada. Sale day is Wednesday at 11 am! Dealers Auto Auction of Alaska, Inc. was established by owner and general manager Steve Sautner in 1997 to fulfill a need in the lending and leasing community for an efficient outlet for Alaska’s repossessed and off-lease vehicles. Since that time, the auction has added automobile dealerships, manufacturers, vehicle importers, fleet companies, rental companies, and the federal government as our customers. Companies like GMAC, Ford Motor Credit, Chrysler Financial, and Wells Fargo are weekly consignors at the auction. Located in Anchorage, Alaska’s business and banking center, Dealers Auto Auction of Alaska is located 7 miles from Ted Stevens International Airport, and is close to hotels, restaurants and major automobile dealerships, making it easy and convenient to do business with DAA of Alaska. Factory Sales Tuesday and Wednesday. Serving major markets throughout the Southwest, Dealers Auto Auction of Oklahoma City offers a full range of remarketing services including reconditioning, inspections, transportation, salvage, Highline and Import Sales and Internet auctions. DAA remarkets vehicles for wholesale consignors including dealers, manufacturers, rental car companies, banks, finance and leasing institutions. Its primary customer base draws from Oklahoma, Texas, Kansas, Nebraska, Arkansas, Missouri and Louisiana. With two prior auctions under his belt, Dallas Auto Auction and Denver Auto Auction, DAA/OKC owner and president Gary Smith decided to return to Oklahoma and build an auction of his own for the long haul. With two new investors on his team, and after months of research and preparation, ground was broken in June 1988 on a 55 acre site at 1028 S. Portland, near Will Rogers World Airport. The original office structure, auction arena and reconditioning center comprised 50,000 square feet with four auction lanes on 30 fenced acres of concrete. DAA/OKC's first sale was held on November 3, 1988, however it's Grand Opening Sale was delayed until January 26, 1989. By June, the auction had already outgrown it's facilities and was expanded to 7 lanes and Ford and GM Factory sales were added in early 1990. Sale numbers continued to grow, with a record high of over 4,500 units being consigned in one day at a Dealer Appreciation Event. In response to the rising demand for its services, the auction made three separate land purchases between 1997 and 1999. Adding nearly 70 acres of concreted land and a 65,000 square foot reconditioning center was just the tip of the iceberg. More lanes have been added increasing the total to 11 lanes, and in 2006 a $600,000 capital improvement will be completed at the offsite facility tripling the availability of paint booth space, and increasing the overall size of the reconditioning facility to over 130,000 square feet! At FastLane Auto Exchange we understand that we are powered by the Dealer. Our goal is to operate a weekly auction at a fair price that is focused on exceptional service. We offer one of the best auction systems in the marketplace, and the lowest fees in the state of Michigan. The integrated services offered at FastLane benefit all the auction’s customers, particularly those from Canada. FastLane Auto Exchange is unique in that it can handle all aspects of the auction process for its Canadian dealers from start to finish: transport, registered importing, speedometer conversion and title exchange, in addition to body, mechanical and recon work, and upstream and in-lane exposure to a huge buyer base. FastLane Auto Exchange hosts an average of 360 dealers at our weekly sale, held on Wednesday at 12:30 pm. The secured 70-acre facility includes 8 auction lanes, and a new, state-of-the art reconditioning and mechanical facility. We know that there are many options when it comes to auto auctions in Michigan. We invite you to stop in and see what everyone is talking about and experience why we are the fastest growing auction in the Midwest. At FastLane Auto Exchange every deal matters, every customer matters, and your business matters. At Greater Rockford Auto Auction, we aim to provide a customer service driven auction experience. This has been our focus every day since our founding in 1974. At GRAA, we provide a full range of remarketing services at our 35 acre facility, including six auction lanes, a state of the art reconditioning building, onsite mechanical services, inspections, transportation, simulcast, and in-house floorplan. Founded by D.M. "Swede" Clark, a long time used and new car dealer and entrepreneur and now in its third generation of family ownership, GRAA has deep roots in the automotive industry. Originally a two lane sale, we moved to our current facility in 1993. Over that time, we have continuously upgraded our technology and facilities to adapt to the ever changing market. This continues today with a new reconditioning facility opening in 2015. Underlying all of these improvements is a deep commitment to serve our customers' needs by providing them with a 360 degree auction experience. Our convenient location at the center of the Chicago, Milwaukee, Madison and Quad Cities markets allows easy access to a deep and diverse pool of buyers and sellers. We are located at the junction of I-90 and I-39, only 40 minutes from O'Hare International Airport and five minutes from the Chicago Rockford International Airport. Greenville Auto Auction, Inc. is an independently owned, relationship-driven business formed by the Stallings family in July, 2010. Conveniently located on 42 acres, our impressive structure boasts 5 lanes, a full service restaurant, 2 vehicle service facilities, and 24-hour security. We are committed to being a premier dealer sale in NC. We will accomplish this by providing excellent and personal service to our customers. We will operate every aspect of our auction with integrity. We will support and develop our team members so that they can do their jobs well. We are dedicated to building long term, mutually beneficial relationships with our customers. Better service structures, extensive facility renovations, and technology updates including the implementation of an online auction program, Edge Pipeline, are just some of the improvements Greenville Auto Auction has made to show our commitment to being Eastern NC’s Premier Dealer Sale. We are continually seeking ways to benefit our customers including cultivating new resourceful relationships and offering innovative sales-driven programs like our 28 Day Float. We cordially invite you to come see what the buzz is about and experience for yourself the positive changes that are taking place at Greenville Auto Auction. Founded in 1964 by James B. Bowers, Houston Auto Auction continues under the second-generation ownership and operation led by brothers Tim Bowers, James B. "Chip" Bowers, II and Mark Bowers. Over the five decades since its founding, the auction has emerged as a leader in its market area selling vehicles, large commercial trucks and heavy equipment for corporations, leasing companies, banks, credit union, municipalities and other government agencies. Located on 24 acres in north Houston, Houston Auto Auction's Tuesday sale begins at 1:00 pm with the region's largest selection of heavy equipment, followed by fleet, lease and dealer vehicles at 1:30. More than 500 vehicles run on four auction lanes, with featured consignment from ARI, Element, Fleet/Lease Disposal, Fleet Street Remarketing, Flexco, Leasing Associates, Merchant Fleet, Security First Credit Union and numerous regional financial institutions and municipalities. The auction also holds a monthly sale for GSA. 4425 W. Washington Center Rd. Indiana Auto Auiction has become a driving force in the remarketing industry. With 8 lanes offering over 600 light duty vehicles and a Heavy Duty Truck sale offering nearly 200 heavy duty vehicles on a weekly basis, IAA has something to offer our diverse customer base of nearly 3,500. Owner Henry Stanley is an established pillar of the automotive auction industry. Henry started Ohio Auto Auction, currently owns Carolina Auto Auction and purchased Indiana Auto Auction in 2007. Henry and Patty Stanley's son, Eric Autenrieth is general manager of IAA and has inherited his predecessor's passion and commitment to auction excellence. Situated in Fort Wayne, Indiana, our auction is centrally located to some of the country's largest automotive and truck markets, including Detroit, Chicago, Cincinnati, Columbus, Indianapolis, Dayton, Springfield, Louisville and Indianapolis. Fort Wayne's 300,000+ population increases the buying strength of the auction. Indiana Auto Auction proudly services several institutional clients and local financial institutions, as well as new and used car and truck dealerships in a six-state area. We have a variety of services available to our customers. We are pleased to bring necessary and helpful services to our clients quickly, conveniently, and at competitive prices. All of our services are in-house, making it unnecessary to take units off the property. Our standards and practices at Indiana Auto Auction are second to none. Our dedicated and skilled staff looks forward to each opportunity to assist our clients in their every remarketing need. Serving major markets throughout the Midwest, KCI Kansas City offers a full range of remarketing services including reconditioning, inspections, transportation, salvage auctions, equipment auctions, and Internet auctions. KCI remarkets vehicles for wholesale consignors including dealers, manufacturers, rental car companies, banks, finance, and leasing institutions. Its primary customer base draws from Missouri, Kansas, Iowa, Nebraska, Oklahoma,and Arkansas. KCI Kansas City was established in 1978 and was previously known as P & S Auto Auction and Kansas Auto Auction. The original auction was located in Elwood, KS and operated in that location for twenty-nine years. In response to the rising demand for its services, the auction made a land purchase in Kansas City, MO in 2006 and began the process of constructing a state of the art facility. Construction began in October of 2007, taking nine months to complete. KCI welcomed customers to a long-awaited opening of their new facility in July of 2008. Shortly after its opening, Bob McConkey purchased ownership in KCI. With his extensive background and wholesale auto auction experience, Bob is a tremendous asset and the auction will continue to prosper under his direction. Together with DAA Northwest and DAA Seattle, KCI Kansas City is a member of the McConkey Auction Group. Opened in 2002, Louisiana's First Choice Auto Auction holds a sale every Tuesday on 6 lanes, featuring vehicles from ARI, Consumer Portfolio Services, Credit Acceptance/VRS, Emkay, Hancock Bank, National Auto Acceptance and a wide variety of dealer trades. Increasing institutional account growth and expanding dealer consignment a prompted a $3 million expansion project that was completed in 2015, which included the development of 4.5 acres for vehicle parking, two additional auction lanes, and an operations center that includes a photo booth, detail and mechanic shop and vehicle registration building. Mid-State Auto Auction was founded by Robert E. Thompson in 1983. His son, Rob, soon joined him in the business and together they have watched the facility grow from a one-lane outdoor auction located in a creamery to an ultra-modern, four-lane facility on sixty eight acres serving dealers from across the United States. Mid-State Auto Auction is located in "the very heart of used car country," approximately 150 miles northwest of Minneapolis/St. Paul, and welcomes new and used car dealers, fleet/lease accounts, banks and finance companies to its weekly Friday sales. With a reputation for fairness to both buyer and seller, a friendly, courteous staff, and a modern facility enhanced by the most current technology systems, Mid-State Auto Auction is a leader in the region, dedicated to offering the highest levels of auction service. Missouri Auto Auction has seen very exciting growth and expansion since it was founded in 2000. Owners Gregg and Dagmar Boswell and Kevin and Kathleen Brown have committed themselves to finding the right people to deliver the service levels that their customers have come to expect. They've committed to improving the facilities to include five lanes, a reconditioning center, an indoor check-in arena and a first class administrative office for customers. Missouri Auto Auction concluded an expansion project that started in March 2014. On one side is a new 6,000 square-foot check-in area with three covered bays, designed to replace the existing single outdoor check in lane. It provides protection from the weather, plus heated floors are a welcome addition for auction employees during cold Missouri winters. This facility also allows the efficient movement of vehicles through the check in process. Condition report writing, equipment verification, computer entry, and photos can all be handled in the same location. To the south is an additional 6,000 square foot building meant to improve the auction day experience for customers. Expanded office space includes a new bidder badge area, new payment counter, arbitration and "if" counters, plus a new coat and luggage room with lockers. This project concludes a five-year vision, started in 2010 with the addition of a 10,000 square-foot reconditioning center. It grew to include the addition of two auction lanes and a walk up diner in 2013. As the auction's dealer base grows and the sale volume expands, it is Missouri Auto Auction's continuing goal to make the auction process as convenient and efficient as possible for both customers and employees. The Walker family is proud to introduce San Antonio Auto Auction. Built in 2008, the facility was acquired in 2010 by the Walker family, which has operated the Corpus Christi Auto Auction since 1990. Situated on 33 acres of rolling hills on the north side of San Antonio, the auction includes a 12,000 square foot office building, five-lane auction arena, and a full-service detail shop. Family owned and operated, we strive to make each customer feel as if they are a part of the W Walker Auto Group family. Our goal is to provide the highest quality of service to our customers quickly and at a competitive price. With the changing automotive industry, we are constantly improving our internet infrastructure to provide customers with more options when it comes to buying and selling vehicles. These improvements involve the establishment of Auction Pipeline and wholesale internet auctions such as GM's SmartAuction and Manheim's OVE. Our inventory includes Dealer Consignments, Fleet, Lease, Rentals, and Financial Institutions vehicles.. From our professional sales team to our unparalleled service, San Antonio Auto Auction has you covered! Come discover the dealer- friendly auto auction in San Antonio...where you’re never just a number: you're family! 8-Lane Dealer Auction Every Friday. Independently owned and operated since 1981, State Line Auto Auction is committed to providing the best auction experience to new and existing customers. At State Line, our people are our greatest asset. Together, they form a team of seasoned professionals with the knowledge and skills needed to provide superior service to our customers. Our staff has many valuable years of experience at State Line and it shows in every facet of our business. Because of our experience, dedication and hard work, State Line Auto Auction continues to grow and expand successfully. Located on the New York/Pennsylvania state border, State Line features an 8-lane, 1,100+ vehicle dealer-only auction every Friday. The state-of-the-art auction facility incorporates every convenience that dealers need when buying and selling vehicles, including reconditioning, body and paint work, mechanical repair, transportation and post-sale inspection. We also offer online bidding via EdgePipeline. Since 1990, State Line has also been a General Motors Sponsored Auction, holding closed GM Factory Auctions on alternate Thursdays. With all of these services to offer, it's easy to understand why State Line continues to be an award-winning operation year after year. If you're not in Waverly, New York on Friday, you're missing the market. Come see why we are the “Best in the Bid-ness®”! Tallahassee Auto Auction has been owned and operated as a BSCAmerica auction since 1995, and has established itself as a vibrant trading market among buyers and sellers in the Florida Panhandle Region. Named "The Best Kept Secret in the South" by Florida's Independent Auto Dealers Association, the Tallahassee Auto Auction offers a broad consignment inventory in all vehicle categories: cars, trucks, motorcycles, buses, vans, boats and heavy equipment. With 23 years of experience in providing full-service performance solutions, Tallahassee Auto Auction's record of accomplishment clearly differentiates it from the competition. The auction provides solid performance and sales solutions, incorporating the science of business with warm southern hospitality. Location/Facility/Operations: Tallahassee Auto Auction operates in a recently remodeled facility situated on 12 acres within the city limits of Tallahassee, Florida. Located on the main thoroughfare of Capital Circle, the auction located just 4 miles east of Tallahassee Regional Airport. The facility accommodates 600 sale-day vehicles, with additional acreage dedicated to inventory storage and customer parking of 500 vehicles. The auction provides complete auction services, including transportation, reconditioning and repair, inventory management, electronic payment and post-sale reporting. Tallahassee Auto Auction has extensive auction data processing capabilities which include an automated data interface that is linked directly with the AutoIMS web-based inventory management system. With autoims.com access, clients can independently track inventory that is assigned to the auction via a web-based inventory management system. As an affiliate company within the BSCAmerica organization, Tallahassee Auto Auction has the support of executive management that represents a broad industry background and direct experience in handling vehicles for a variety of clients. Tallahassee Auto Auction's customers include fleet and leasing companies, banks and credit unions, auto dealers, rental car agencies, insurance companies, non-profit organizations and government agencies. A continuing commitment to customer service and fairness to every dealer has made Tallahassee Auto Auction the fastest growing auction in this region.